Long time readers may think this recipe sounds familiar. In fact it is a version of the dish shown in the photo to the right, my version of Candy Bacon wrapped Green Bean Bundles! This recipe has almost the exact same ingredients. But the cooking method is different. The bundles are more labor intensive (but in the stir fry you lose the "Fun LOOK" of the bundles). The bundles are baked, freeing up the cook for the dinner presentation. The stir fry is what the French call "A la Minute" Style, when a dish is prepared to order, rather than being prepped in advance and held for service. BUT, the dish is so simple to do, it is also a dish that you can easily pass off to anyone who happens to come early and asks if there is anything they can do. Have the bacon pre-cut, have the green beans pre-trimmed and the garlic pre minced. The rest is simply stirring and frying. Perfect for keeping a guest busy (or allowing a guest to help). This recipe also calls for less sugar, less oil than the Green bean Bundles call for. Now, by no means is this dish healthy. It is still vegetables, fried in fat and caramelized in sugar... Just less sugar and less fat. And easy... BTW, I served this with my Christmas meal. Prepared by the daughter of one of my guests with just a little supervision as I was slicing a ham. She was thrilled to help, got terrific bragging rights as the "cooks" were thanked and enjoyed the experience. She even wanted the recipe so she could make this again. Now that's the ultimate compliment! With a slotted spoon, set aside the bacon, leaving the drippings in the saute pan. Add the Green Beans, Minced Garlic and sprinkle the brown sugar over the whole thing. Add the bacon again and continue to saute until the beans are still crisp but heated and cooked through, crisp yet tender. About another minute. Again, remove from the saute pan with a slotted spoon to a serving dish, serve while still HOT... and ENJOY! Simple to make... but delicious to eat DIY Buttermilk Biscuits (Just add Honey)! But there is a couple of tips, tricks and hints to make your biscuits soft and flakey. Ignore these tips and you end up with a hard British scone-like snack. OK... Look close in the first photo. When you mix the flour with the butter, DO NOT OVER MIX (you will hear that phrase again). You want to end up with a corn meal like texture. Use COLD butter and you just want little pebbles of butter coated with flour. 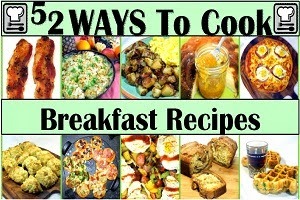 In the second photo, I have mixed all the ingredients together, buttermilk as well as the baking powder/soda. The dough is still crumbly. Resist the urge to knead the dough. This crumbly looking mixture will melt ad mold together as the biscuits cook, leaving those pull apart layers of buttery deliciousness. 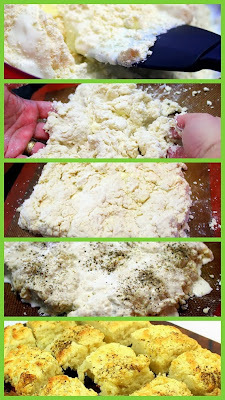 Photo #3 is a look at the dough just before adding the finishing touches and going into the oven. You could use a ring biscuit cutter and get round biscuits. I prefer to cook this block and use a pizza cutter to cut into squares. And viola... DIY Scratch Buttermilk Biscuits you can be proud of. So, the big tip.... Less is more. You want a flaky pull apart biscuit. If you over mix the bitter, you end up with a heavy dough and not a flakey biscuit batter. Whisk the flour, baking powder, baking soda and salt in a large bowl. Cut in the butter using your fingers or a pastry cutter until the mixture resembles coarse meal. Add the buttermilk and gently mix until the mixture just begins to come together. Scrape the dough onto a lightly floured counter. Pat the dough into a 10 by 12-inch rectangle about 3/4-inch thick. Cut into 2-inch squares or use a 2-inch round cutter to cut out biscuits. Press together the scraps of dough, and repeat the process. Place the biscuits on the prepared baking sheet. Brush the tops with cream and sprinkle with the black pepper. Bake the biscuits until lightly golden brown, 12 to 15 minutes. Cool on a baking rack. Serve WARM with honey or gravy and ENJOY!!! This recipe has also been added to my growing list of "52 Simple but Next Level Dishes"! Very handy to have around the house this time of year. A tube of Ritz crackers and you have a fast appetizer hors d'oeuvres. It makes a terrific sandwich spread (left over ham anyone). And it even makes a welcome hostess gift... Would this be considered regifting if I gave jar of this to the friend who gave me the welcome block of smoked cheddar??? And of course set a bit out for New Year's night and watch it disappear. Classically southern delicious and yet so easy to make. Only seemingly tricky part is to get the pimentos, which are simply diced roasted red peppers. And really those are easy. The rest is just measuring and mixing and enjoying! Simple, welcome and delicious... What could be better? Remove peppers from the oven and allow to cool. This recipe has also been added to my growing list of "52 Church PotLuck Dishes"! A house full of family and guests... Depending on the number of waffle irons you own (somehow I ended up with three different ones... go figure), these could be a little time consuming to make as 1 run of the iron usually takes 4-5 minutes. But if the cook gets an early start these can be kept warm on a plate in a 185 degree oven as you finish the rest. And the title does say easy. I have made difficult scratch apple waffles before. They are good. Tastes a little like an apple pie. These taste just as good and take far less time and effort. Buy some top quality chunky Applesauce. In a large mixing bowl (I use a stand mixer for this... Easy! ), combine the dry ingredients (the first four items) to evenly spread the sugar, baking powder and salt into the flour. Now add all of the remaining ingredients, stir to evenly mix. Garnish with additional Applesauce and a dusting of powdered sugar. Syrup for these is not needed as they are plenty moist and sweetly delicious. However some of my guests requested so keep some handy. 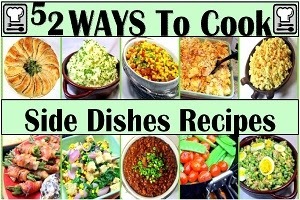 This same recipe is easily adapted... I split the recipe in half, making 6 of the EASY Cinnamon Apple Waffles and 6 of these beauties... Pulled Pork Waffles (with a BBQ sauce drizzle)! This is one of those Ooooh and Aaaah dishes that just did not photograph well. The taste certainly garnered it's share of accolades, but the look lost quite a bit from the oven to the serving table. These were served at my family Thanksgiving meal. The souffles did rise nicely, peaking about 1/2 inch above the rim of the baking Ramekins. However they sat around for about 20 minutes while the rest of the buffet was laid out. They (and a bit of my heart) fell. SIgh. But the taste and the texture were wonderful. Only one other person at the table had seen them in their glory. So, with visions of Julia Child and her memorable warble in my mind, "Who's to know" as I took credit for the taste of these sweet potatoes. There are plenty of savory tastes to make this a side dish. But special occasions call for something unique and special. The sweet syrup and nuts add a dessert worthy taste to the dish. There was a full buffet of options, everyone who took a ramekin full of this finished the entire bowl. Delicious and worthy of a special occasion! NOTE- This recipe can be made in individual Ramekins (shown in photos), or in a 9X9 Baking dish if serving at a PotLuck as a side dish or dessert. Take your Ramekins (or baking dish) and rub the insides with the butter, being sure to leave a layer all around the sides. Sprinkle the Parmesan Cheese around the sides of the dish, making sure there is a layer clear to the top (as shown in photo). This provides a rough surface for the souffle to rise against. Set the baking dish(es) in he freezer while you work on the mix. In a mixing bowl, combine the cooked sweet potatoes, Butter, 1/2 and 1/2, Orange Zest and Juice,Brown Sugar, Cinnamon, Salt and 2 Egg Yolks only. Mix to combine. Set aside. Now is the time to preheat the oven to 425 degrees. Now, Place egg whites in a large mixing bowl; beat at high speed with a mixer until soft peaks form. Add remaining 2 tablespoons granulated sugar, 1 tablespoon at a time, beating until stiff peaks form (do not over beat). Gently fold one-fourth of egg white mixture into potato mixture; gently fold in remaining egg white mixture. Again, do not over beat. it is fine to have streaks of white in the orange mix. Gently spoon mixture into prepared dishes from the freezer. Be careful not to touch the sides. Tap firmly on the counter for the mixture to even out. Put the dish(es) in the oven. Bake for 1 minute at 425 then reduce the heat to 375 and bake for 1 hour, until the souffle has puffed, is set and the top has turned a delicious golden brown. While the souffle is baking, in a small sauce pan, heat the maple syrup over low heat. Add the pecans and heat just below a simmer for 20 minutes until the nuts have softened and absorbed the sweetness of the syrup. Remove the dish from the oven, serve as soon as possible. the longer it takes to serve, the more likely the souffle falls (still perfectly fine to eat but loses the dramatic souffle look). Just before serving, top with the warm syrup and nuts... Serve warm and ENJOY! This makes a wonderful side dish to serve with any specialty dinner. This was my offering at my family Thanksgiving dinner, alongside Turkey, Brisket, a Hominy casserole and a corn dressing. OK... First let me address the beer. I like to cook with beer. I even like to cook with beer when I know that the dish will be served to good Christian women at a Church potluck meal. But I only do this when the beer is going to simmer, which allows the alcohol to burn off. Almost any dish that uses Vanilla Extract (which has a high alcohol content) will have more actual alcohol than this dish. BUT... If you prefer, feel free to substitute Chicken Stock for the beer in this recipe. WIll not have as robust a flavor, but will still be mighty tasty. As to the beer of choice for this, select a DARK beer, a stout or as in this case a Porter. I like to shop local for fresh produce and for my beer. Kansas City's own, Boulevard Brewing Company makes a delicious BULLY! PORTER beer that is excellent for cooking. Makes a wonderful gravy for this dish. And speaking of this dish... WOW... makes me want to make extra food just so I can use the leftovers. Two types of potatoes and lots of turkey are combined for a hearty stick to your ribs meal in a single dish. While I made this with the leftover turkey, year round I have been known to make this dish with pulled pork, ground beef, rotisserie chicken... I even cut the ingredients down to make a single serving size when I had less leftovers. It is a beautiful dish with the ring of sweet potatoes and the crusty topping, accented with some red seasonings (Cajun for the bold or simple paprika if you like). The filling in the dish is a loaded up pot pie filling flavored with a robust stout gravy and all the vegetables a mother could love. Highly recommended, so good you will forget you are eating leftovers! In a LARGE Skillet, Saute the chopped bacon until fully cooked. Remove the bacon to drain, but reserve the Bacon Fat in the skillet. Add the chopped Onions, Carrots and Celery. Saute for about 5 minutes until the onions soften and turn translucent. Add the Mushrooms, Tomato paste, Worcestershire Sauce and the bottle of Beer. Stir to mix and set to simmer. Now, add the chopped Turkey and the frozen peas and corn, Stir to mix. The turkey will absorb most of the reduced beer. AT this stage you have a choice, continue to saute and simmer for a "less wet" consistency (the way I like it), or remove from the heat now for a more stew like consistency. Pour the turkey mixture into a LARGE Casserole dish. Top/Line edge of the dish with the sweet potatoes, then the center with the smashed potatoes. Add a generous sprinkle of chives over the entire top and a pinch of the red Cajun spice mix (can substitute just Paprika) more just the center. Bake until topping is golden in a 350 degree oven, about 40 minutes. Allow to rest for 15 minutes before serving, serve HOT and Enjoy! So, I am also pleased to list this as one of my Growing list of "52 Cooking With BEER Recipes"!! !